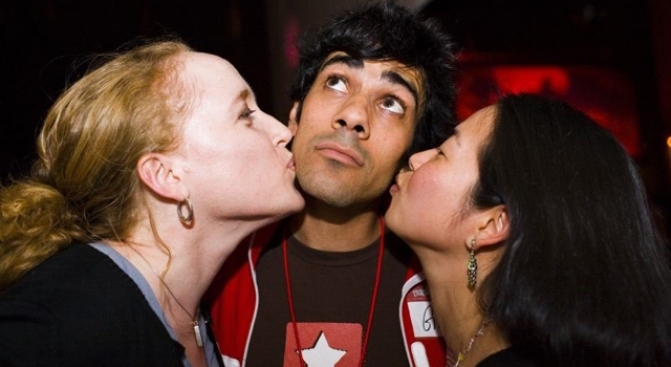 Yelp CEO Jeremy Stoppelman has had to calm down more than just the adoring women recently. Small businesses are not too happy with the review site these days. Maybe it would have been better if Yelp had not flexed its muscle to try and make a pesky little indy newspaper and its claims of mafia go away. In February, The East Bay Express' reporter Kathleen Richards published an article claiming that the San Francisco-based user generated food and service reviewer was extorting the businesses it listed, by promising them good reviews if they advertised on the site, and the opposite if they didn't play ball. The article quickly picked up national, and even international, steam when it wound up on the radar of The New York Times, The Los Angeles Times and NBC, to name a few. The negative press forced the young Yelp CEO, Don Jeremy Stoppelman, out of his perch and into full media damage control mode. He called into question the paper's use of anonymous sources and then railed into one source quoted on the record. The CEO's words drew as much attention as the initial article by Richards. Richards fired off the next shot this week by directly challenging the CEO. She called him a hypocrite for questioning the use of anonymous sources when his site is based on anonymous sources, free to write whatever they like without being challenged by the business they are reviewing. To further discredit Stoppelman's critique of her piece, Richards names and lists the complaints of several business owners on the record who back her claim that the company tried to strong arm them into advertising. In one instance, Larry Trujillo, co-owner of the Uptown Nightclub in Oakland, claims that a Yelp sales rep "harassed" her everyday promising positive reviews if the staff was provided free alcohol and use of the club. He recalled the scenario in an e-mail: "After numerous tours of the Uptown and rounds of free drinks given to the so-called brass of the Bay Area 'Yelpers' who were offering to throw a Yelp party at the Uptown, when I was finally contacted by a Sarah Lippman, I learned their real motive. ... After several phone meetings, she finally came to the point and pitched me on what she really wanted: free use of the club with staff and alcohol expenses covered by the Uptown in exchange for positive reviews." Barry Hyde, the owner of M&M Auto Werkes in Campbell, told Richards that positive reviews of his shop were removed from the site after he declined to advertise on Yelp. Then, Hyde said he received a negative review from a legitimate customer. He tried to rectify the situation with her, but to no avail. Seven months later, Hyde said the customer's boyfriend posted a negative review based on his girlfriend's experience. "I have an issue with that," said Hyde, noting that third parties aren't allowed to post reviews as outlined by Yelp's Terms of Service. When he complained to Fitzhugh, he said she replied, "'We can't control that, but if you advertise you can control the order that they're in.' So I could move those negative ones down to the bottom of my listing. Stoppelman used his blog on Friday to indirectly respond to the latest allegations, saying the company has made changes to communicate better with small businesses. "Our site's reach and influence has far outstripped our initially modest efforts to explain to business owners who we are, what we do, and why," he wrote. "To step up our efforts we've recently hired a Manager of Local Business Outreach who will coordinate education and outreach activities which have already begun in cities across the US." And he wrote in direct response to complaints about deleted reviews that the company uses an algorithm that, "is necessarily secretive so that it's difficult to game. All of this turns out to be enormously frustrating to a lot of business owners because it’s not intuitive why one review might stay up and another gets pulled down." In response to the lack of business owners being able to respond to reviewers, he said, "we purposefully make it easy for people to create an account and start contributing reviews. The obvious risk is that some people will try to advantage of this ease of use to write fake reviews or solicit biased ones, so we deal with this problem by using an automated review filter that hides a small percentage of all reviews." Stay tuned as this story is sure to develop further.